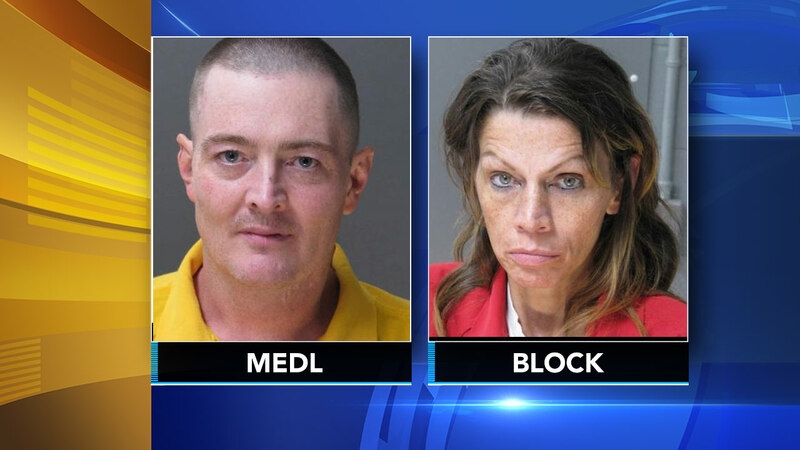 LEVITTOWN, Pa. (WPVI) -- Two Bucks County parents have been sentenced for the neglect of their three young children, who authorities say were discovered in deplorable conditions. William Medl and Kimberly Block, both 44, were sentenced to three to seven years in state prison, the district attorney's office said on Friday. Investigators say Medl and Block lost their home to debt from drug addiction and led the children through a "nomadic existence." When the children were found by police and social workers last December, the children were found to be "filthy, diseased and hungry," the D.A. 's office said. Two of their children, a 7-year-old girl and an 8-year-old girl, did not know their last names and had never attended school. Their 2-year-old brother could only communicate with gestures, authorities said. All three were infested with lice and had to have their heads shaved, the district attorney's office said. Between them, the children had to have a total of 31 teeth extracted because of severe decay. "The time it will take [the children] to get caught up in school and have a normal life is anybody's guess," Judge Wallace H. Bateman Jr. is quoted as saying in a release from the D.A. 's office. "All for drugs." According to court records, the girls described driving to Philadelphia where Medl left them alone in the car to purchase "adult medicine." They told of watching their parents snorting or injecting the powder, and of moving it out of their little brother's reach, knowing it was poison.